Cloud computing has revolutionised the way most companies do business. By making applications and IT infrastructure accessible via the internet, businesses are able to create more effective cloud solutions. But getting the most out of your cloud computing strategy isn’t always straightforward. In order to maximise your cloud performance, efficiency, and ROI, it is important to follow certain techniques and avoid making common mistakes. This Guide will help companies to improve the effectiveness of their existing strategy and make their first move into the cloud. 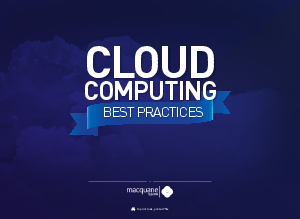 Download this paper to discover the best practices for cloud computing to help your company.